Set a vintage vibe in your bathroom with this Duravit plain drop-in bathroom basin. 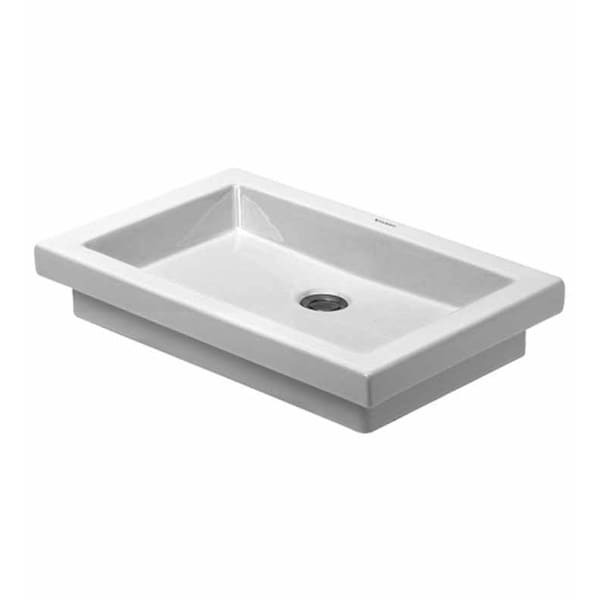 Featuring a durable ceramics construction with WonderGliss coating to keep your sink looking new for years, this rectangular basin gives off a timeless chic charm. Dimensions 20.0 In. X 27.0 In. X 8.0 In.